We had a great time at Aspull RUFC, Wigan last night. It’s always nice to play fundraisers and this one was a cracker! 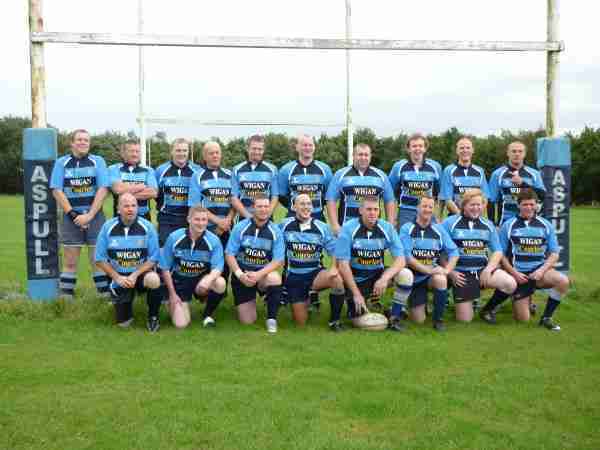 Aspull are a Rugby Union team in Wigan. It’s great to be able to help them out by playing at their party. We’re providing Aspull RUFC with our Deluxe party package tonight. We’re gave them two sets of excellent uptempo live music, as well as our amazing, professional disco. Our top of the range sound equipment, lights and all their song requests are sure to give Aspull RUFC a great night. There was also a raffle, an auction and a coin toss to raise even more money for the teams upcoming tour of Italy. Everyone was so lovely and made us feel so welcome, it was a really enjoyable gig for us and the crowd who danced their socks off all night were really great. I’m pretty sure everyone at Aspull RUFC enjoyed themselves and I’m also sure we’ll be back at some point. If you’d like us to play at your Wedding, Party or Corporate event, please get in touch HERE.